The SMT-7 system is the most reliable, easy to use and accurate in-process oven temperature profiling for the coating. For those who apply coatings, sell coatings, or need to know what is happening to their product inside a conveyorized or large batch oven, SMT-7 will be the best choice. 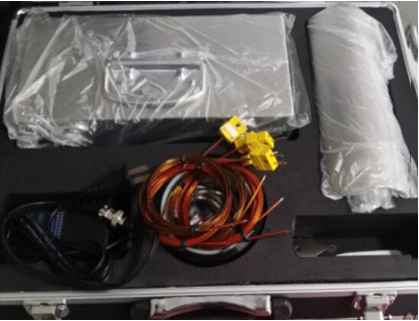 SMT-7 let you easy to measure, record and analyze artifacts in the curing oven and air temperature curve, ensure the coating to get fine quality, save time and save energy. The logger is used for measuring the temperature of the powder coatings and paints in the curing oven or the oven conveyor belt. Check if the instrument configurations are ready. Connect the thermocouple and check if it is in good condition. Fasten the thermocouple on the workpiece. Begin to record the temperature.